You know sometimes, all the planets align and everything just works out? Well that was us last week. Nik was just starting to feel better from his rough weeks after his chemo treatment, our boys were off doing their own thing, we had been invited to a book launch in Covent Garden, and it was my birthday! All of that was reason enough to just make an impromptu decision to make hay while the sun shines, and book into a hotel in town so we could really take advantage of this sun shining down on us! When we arrived in town, we had an over night bag with us, but no hotel booked. 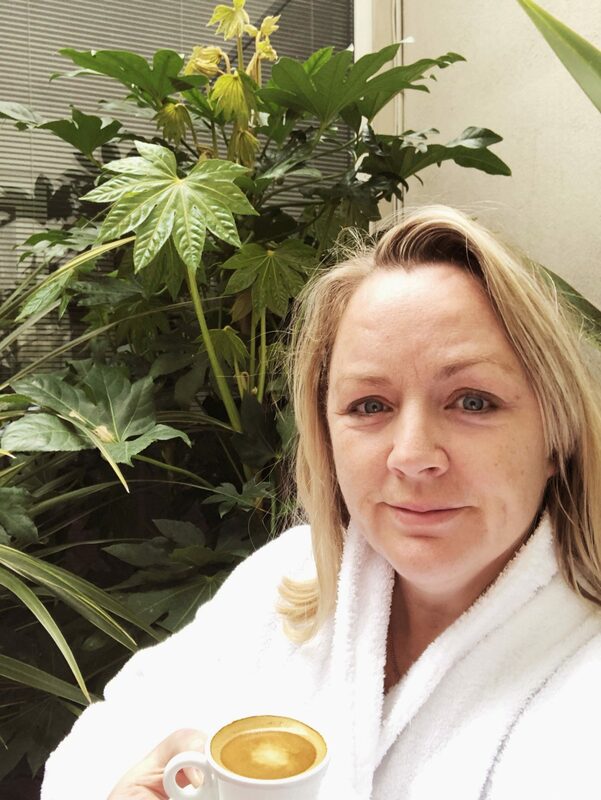 We grabbed a chai latte in Liverpool Street station, I got on my phone and after a quick browse on Hotels.com, booked a night in St Martins Lane hotel, (a hotel from the Morgans Hotel Group) right in the centre of Covent Garden. Simple as that. Done. Who needs to plan in advance eh! 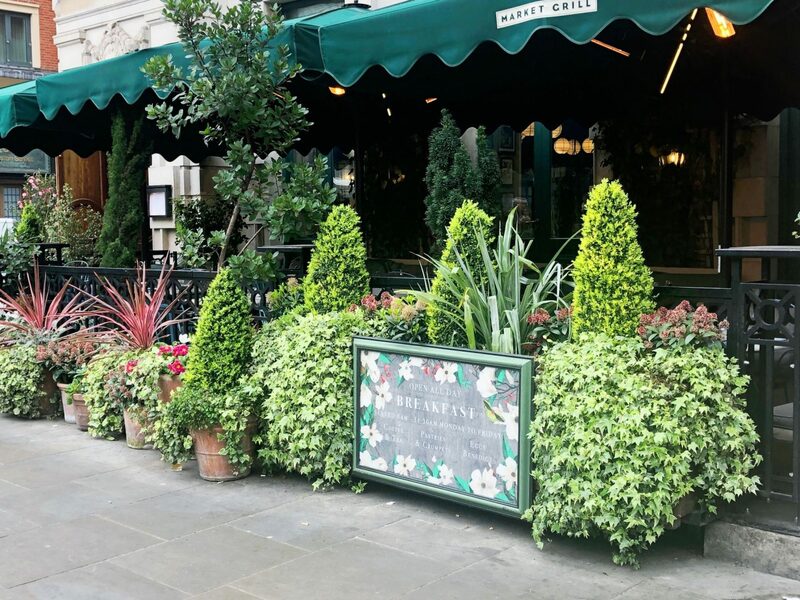 St Martins Lane hotel is just a stone’s throw away from Leicester Square at one end of the road, and Covent Garden at the opposite end. Its the perfect location if you are going to a West End show, exploring the sights in town or looking to let your hair down in the pubs and clubs. Famous restaurant The Ivy is just round the corner, Dirty Martini cocktail bar a 2 minute walk away and popular eatery Browns on the same road. You’ll be spoilt for choice! You also get complimentary use of the Gymbox gym next door, so you can indulge guilt free if you venture into the gym the next day…..I was going to, but you know how it is, a dog ate my homework trainers…….. Arriving at the hotel, welcoming door staff open the door for you into the large, bright lobby. Straight away you are delighted by the quirky details in the lobby, giving you a little taster of the hotels modern decor. 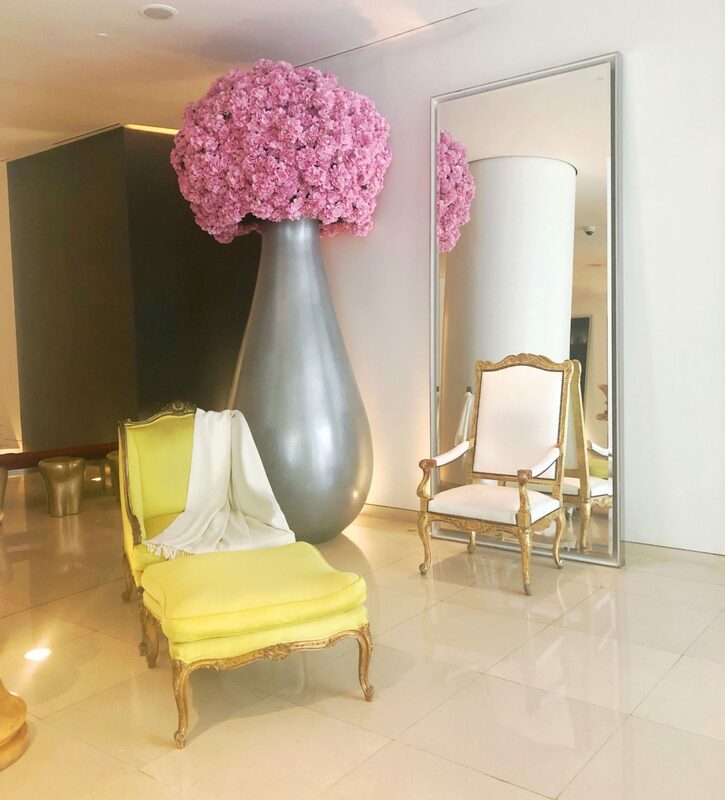 (I wrote about another quirky hotel in London in this post, Citizen M Tower Hill) Brightly coloured chaise lounge, african inspired carvings, huge vases of floral displays and hidden doorways to secret places are in abundance. Check in was speedy, the staff incredibly welcoming and efficient. I could not fault it. We had booked a Garden Room as our accommodation of choice for the night, so we were located on the first floor. 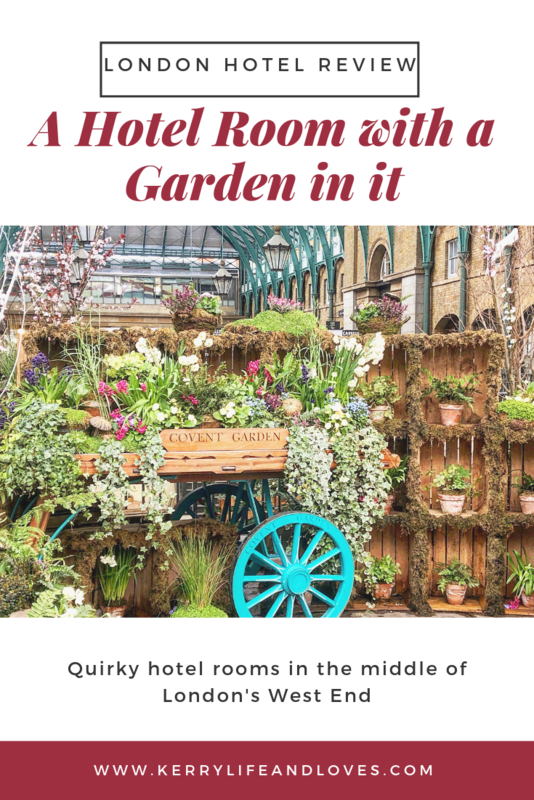 The garden rooms in St Martins Lane hotel are not the cheapest room that the hotel offers, but if you fancy your own little oasis, a room with city views, a larger than average London hotel standard room, then I would recommend it. You can see all the details on the room just here or details on all the rooms available here. The room itself, much to Nik’s delight, has mood lighting throughout the room. 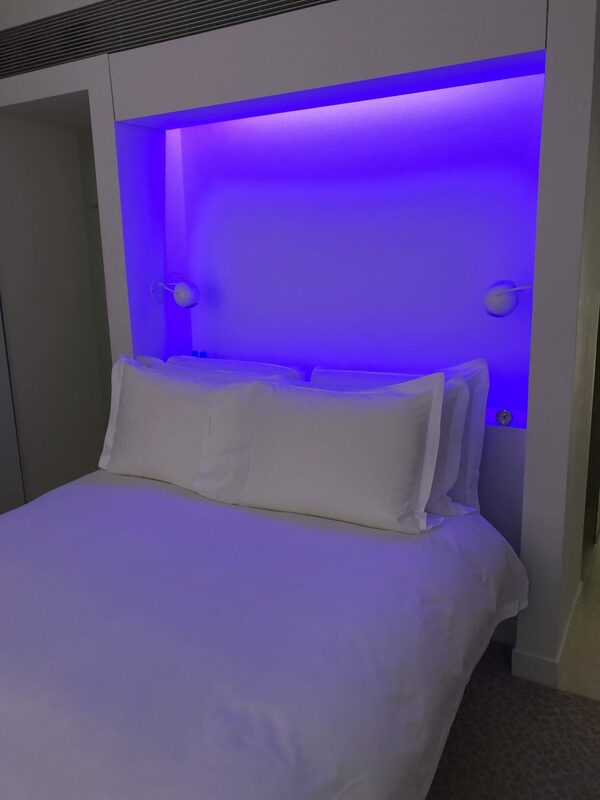 You want a soft pink glow around your bed, you’ve got it, blue lights on your bedside table, its yours. My husband was very happy with this detail, and was living his best life changing the colours up. He is such a man child! The bed, tv and desk area is at the front of the room, with huge windows over looking the city. The bed is a beauty! Nik and I agreed that it was one of the most comfortable we had slept in. Like sleeping on a cloud. Most rooms have a city view in St Martins La, but of course it is pot luck as to how much of the city you are actually looking at. Behind the sleeping area you have the bathroom, set into two halves. One side is the toilet, the other side a huge walk in shower. Beyond that, you have the vanity area, and a glass sliding door that takes you out into your very own courtyard garden. Honestly, when I saw the little garden, I was squealing with delight. Its not a huge garden, not by any stretch, but its a GARDEN. In your HOTEL ROOM. The little pink table and chairs, huge green plants and candle lanterns scattered around were the cutest thing ever, and such a lovely touch. On a sunny day I can imagine that it is a gorgeous little sun trap. We didn’t have sun, but we did sit out there both when we returned from our night out, and in the morning to drink our morning cuppa. You are supplied with both dressing gowns each and slippers, so it really was a home away from home. 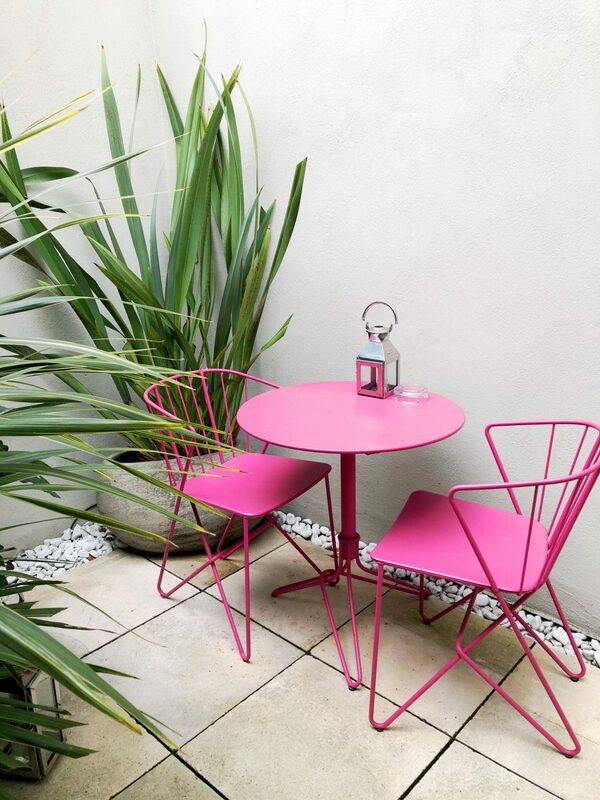 I could have sat in that little courtyard all morning with a book and a cuppa. It was quiet, peaceful and a real little oasis. 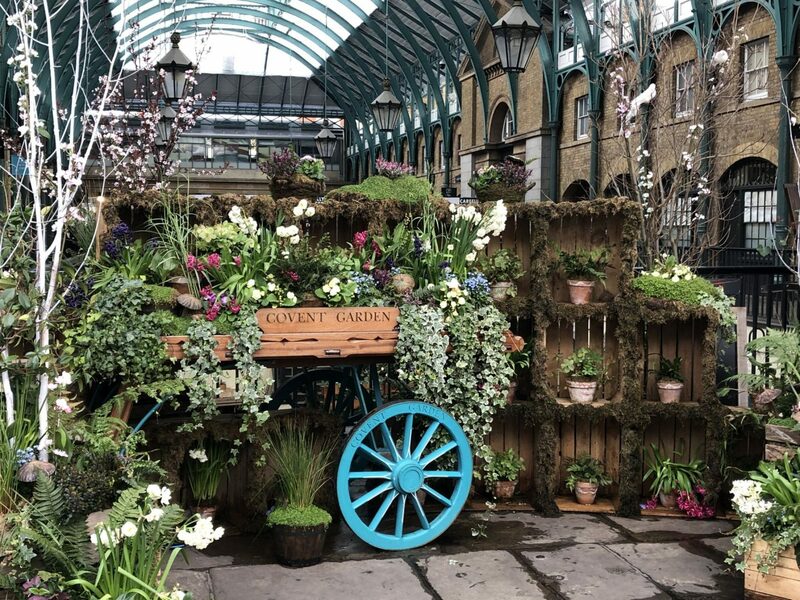 Right in the heart of Covent Garden! Lets talk about the hotels bar and restaurant. After all, second to the comfort of the bed, thats what we need to know right?? Im going to make a huge statement here. Ready…..? 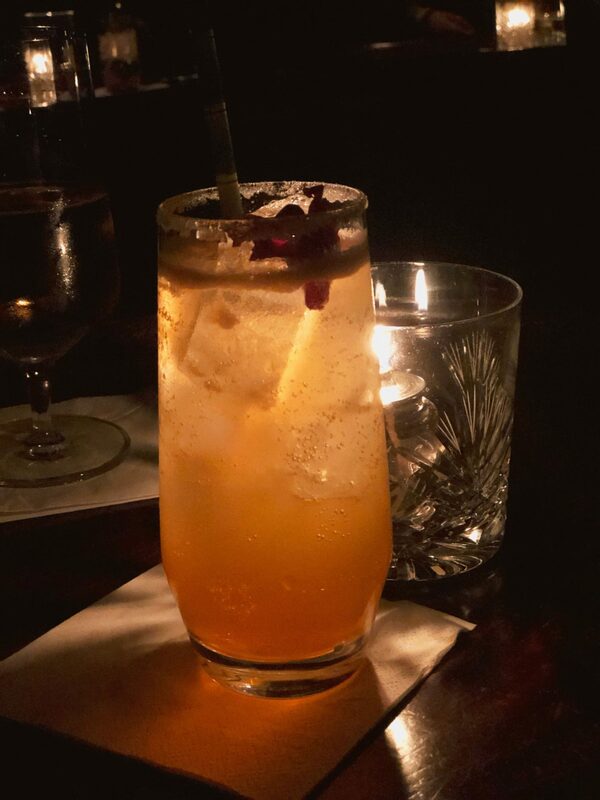 The bar has perhaps made its way into my top ten bars in the West End…… I know! Bold statement indeed. Let me tell you why. 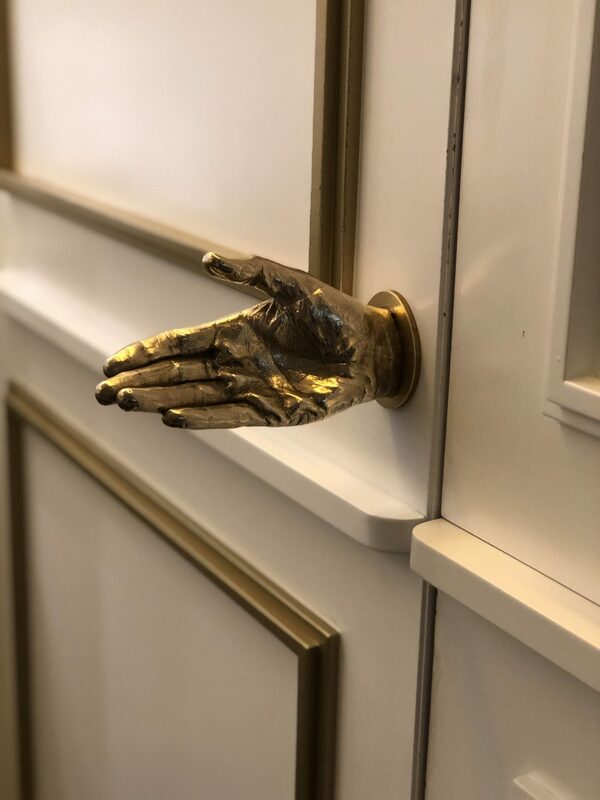 You went into the bar through a secret door…..with a gold hand as its door knob. I don’t need to say anything more really do I. It was a secret hidden bar! 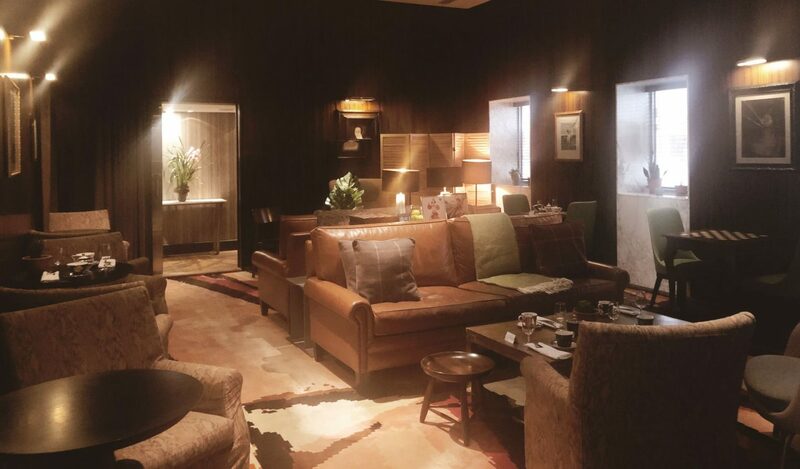 In the lobby, there is a boutique tea area. Glass jars filled with various teas line shelves on a wall. To the right of this is the gold hand. Shake the hand, and you enter into the fabulous bar called Blind Spot (see what they did there, hidden bar, blind spot…). Dark leather chairs, cut glass candle holders, low lighting and a cocktail menu to rival most makes this a great place to while away a few hours. The whole atmosphere is relaxed and low key. We loved it. So, if you need some food to soak up all the “globe trotting” you have done, or if you are booked in for breakfast, you may be paying a visit to The Den or the St Martins Lane Kitchen . 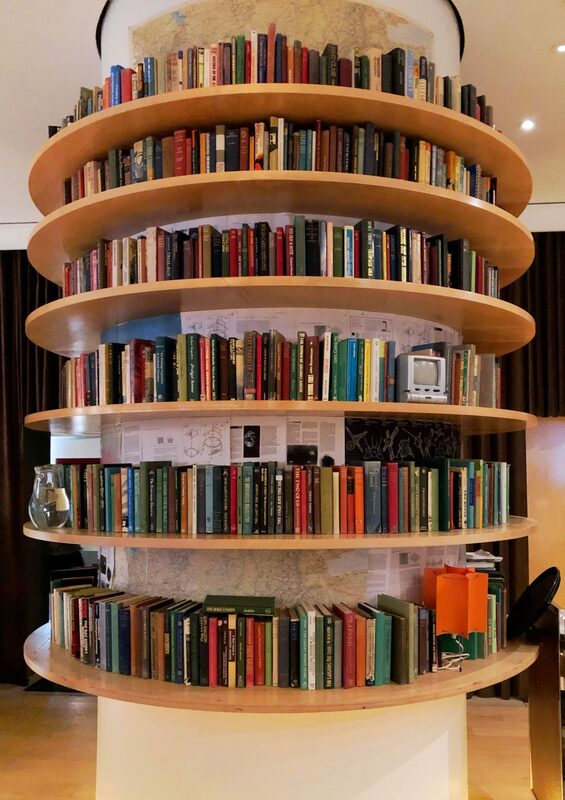 The latter, an open, airy restaurant, with the most amazing towers of books throughout, is the main dining area. In here you can sample tastes of Thailand, China or Malaysia. A beautiful menu and dining experience. Nik and I loved this hotel. We really felt very lucky to stay in the room we had, and it did us the world of good. We have to take any opportunity we get when Nik has good days, so this felt like a real treat and welcome respite from our worries. It was luck that we chose this hotel on our spur of the moment decision, but we are absolutely thrilled that we did. We will be returning for drinks next time we are in the area, no doubt. Its worth remembering, if you are in town at busy times, you will probably need to book in advance if you wish to have a little “spin of the globe” yourself. A fabulous London hotel find, and I would recommend it to anyone as a base for a weekend or mini break in London. "Kalifornia Kitchen – Vegan Utopia in London"
Wow, what a place! I love extra features like that, and in the middle of a big city too. I believe finding something like this when you look for a hotel spontaneously on a website like that is very unusual, and definitely luck! Must have been a great place to celebrate your birthday.